2017 Bayliner Element E16 Unique layout and roomy 16 foot boat with deck style layout and tons of room! BLUE. 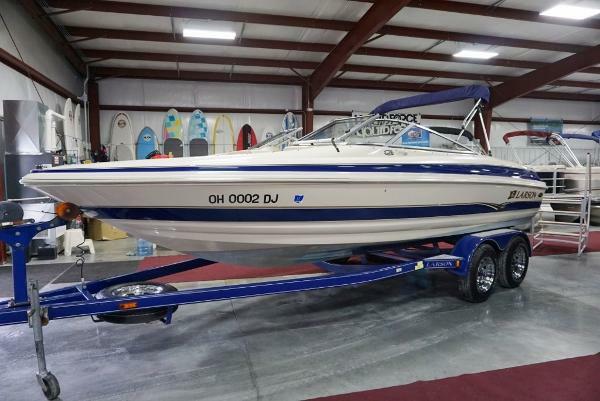 Includes Mercury 60 HP Command Thrust upgraded engine that can reach speeds up to 30 mph and ideal for cruising around, tubing, and for a fun day on the water! This boat is equipped with the following options. Trailer, Cover, Bimini Top, Stereo, command thrust engine upgrade. 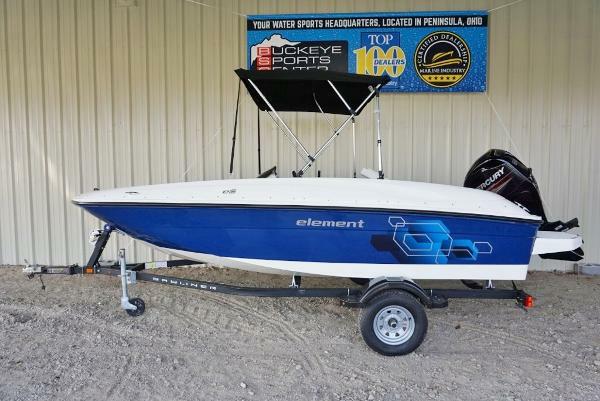 We designed the evolutionary Bayliner Element E16 to be the start of something new. It combines a stunningly affordable price, familiar automotive-style handling, and class-leading stability and safety features. Plus, it has the power and comfort features to get you to the fun spots and enjoy every minute. Key Features Comfortable layout with opposed seating for up to six facilitates conversation among passengers. Deep freeboard and high gunnels keep passengers secure. Innovative M-hull design puts Element on plane right out of the hole and maintains level flotation at rest and through turns. Intuitive helm with clear, multifunction gauge; reliable Mercury outboard power; 360-degree unobstructed views; and familiar automotive-style handling make Element easy to operate for beginner boaters. 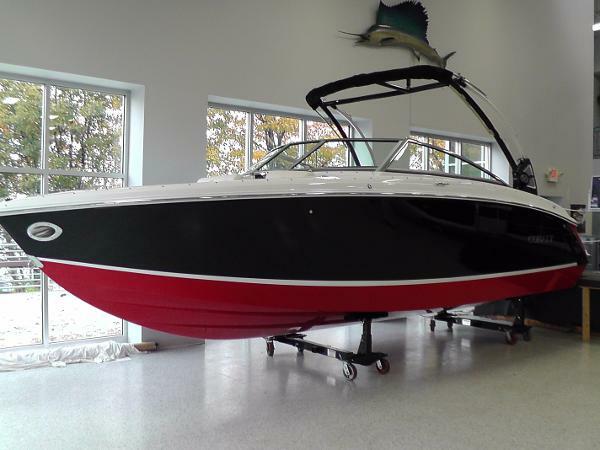 Optional Sport configuration includes custom Sport arch, special graphics, Black or Red gel coat color choice, cooler and bow filler cushion. 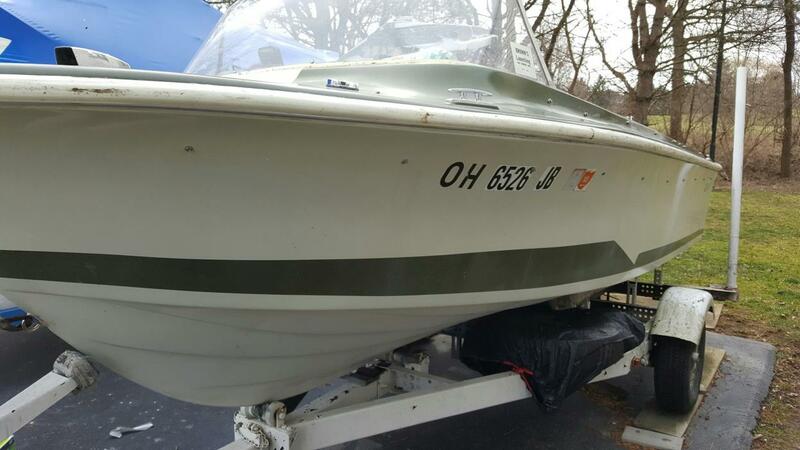 2002 Larson 210 2002 Larson LXI 210 with a 5.0 l Volvo Penta Inboard/Outboard motor. Excellent condition. Includes Cover, Bimini Top, Stereo, Trailer and Spare Tire. Priced to Sell. Call quickly this one will not last long. 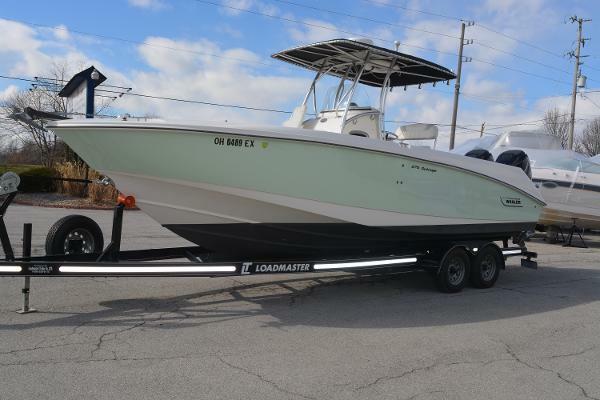 2006 Boston Whaler 270 Outrage Just In! 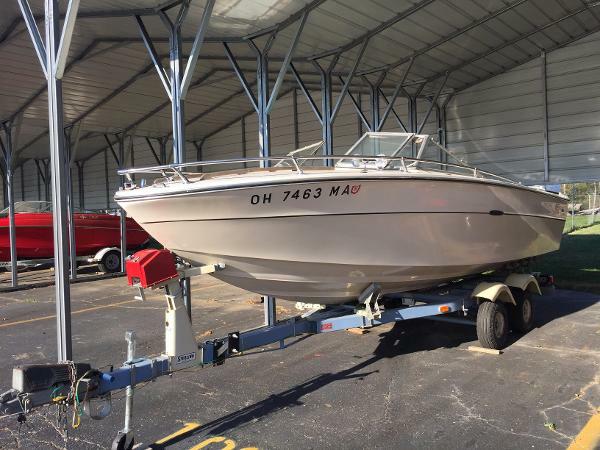 2006 27' Boston Whaler Outrage Currently stored inside our show room on Catawba Island, this boat is powered with twin Verado 225HP with 312 hours. This boat is equipped with Garmin GPS/Radar/Fishfinder, windlass anchor, marine head, storage under helm seat, duel battery switch. Call today for more information! 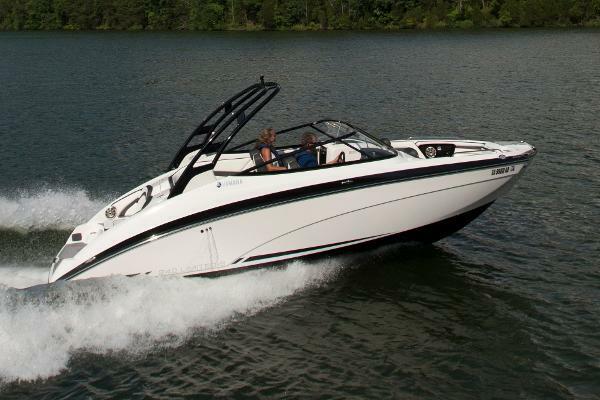 2016 Yamaha 242 Limited S A one-of-a-kind, luxury boating experience for enthusiasts who demand excellence. This award-winning platform comes standard with all the innovative technologies that have made Yamaha the global leader on the water. Premium amenities include a feature-rich stern lounge and forward-swept, color-matched tower with built in speakers and LED lights. 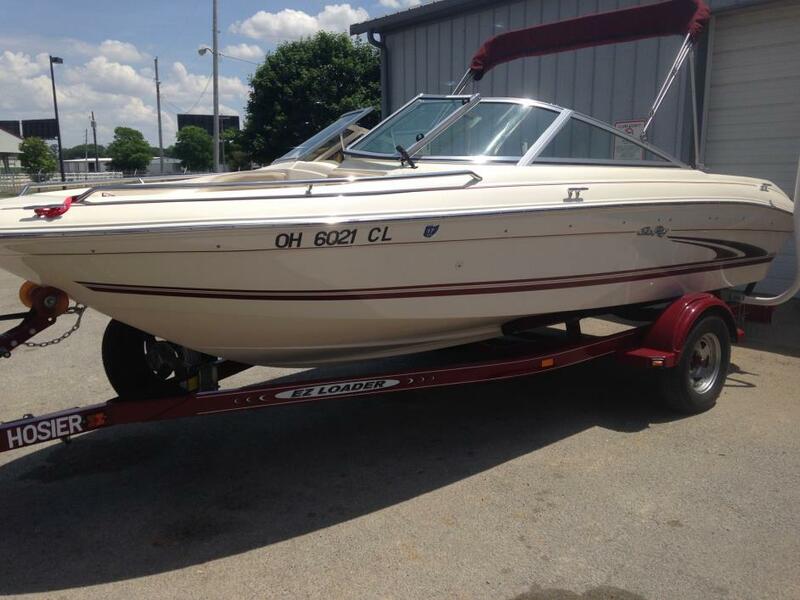 1971 Sea Ray SRV 200 Own a classic 20 Foot Runabout with extremely low hours. This single owner boat has always been stored inside and rarely used. It only has 145 total hours on boat and original motor. Late last summer the boat received a complete tune up and necessary maintenance. The boat runs great. The boat's fiberglass hull still shines. The original vinyl interior is like new, except for a tear in the driver's seat (pictured). Mechanically excellent. Comes on its original tandem axle trailer. 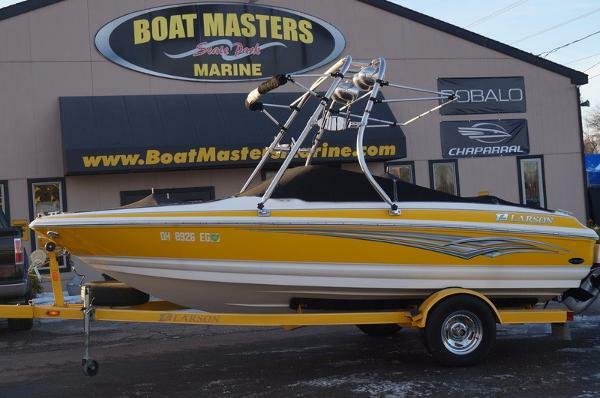 2007 Larson 180 Sport 2007 Larson 180 Sport with VOLVO-PENTA 4.3, 190HP ENGINE! 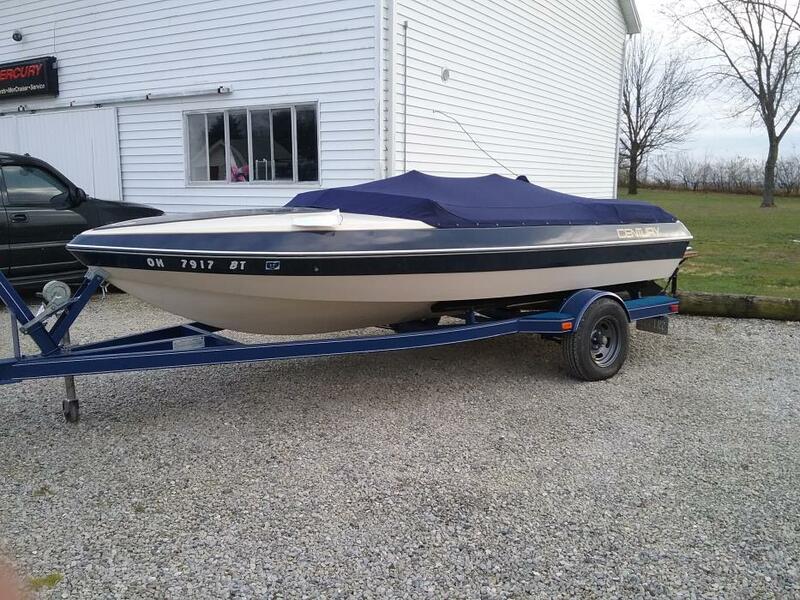 1986 Century Riviera 5 Meter 1986 Century Riviera 5 meter ski boat , excellent condition. 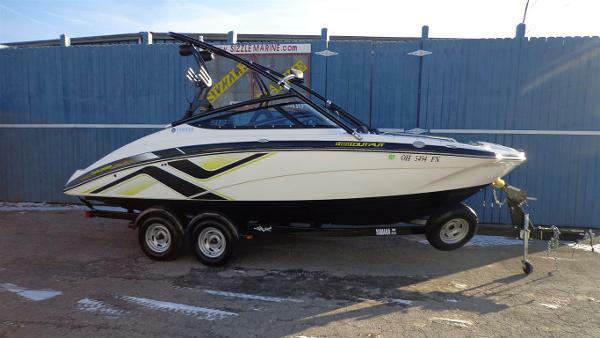 Mercruiser 3.7 ltr. 4cyl.w/ps. & alpha one drive . Upgraded fuel system, upgraded drive , all electrical in good working condition. Newer interior still looks great with new cockpit cover. Hull has been upgraded w/pull up cleats & pull up bow light. Trailer is in like-new condition has new lights , springs , wheel bearings & tires. Also comes with a space saver spare tire & swingaway tongue , new paint , solid trailer. 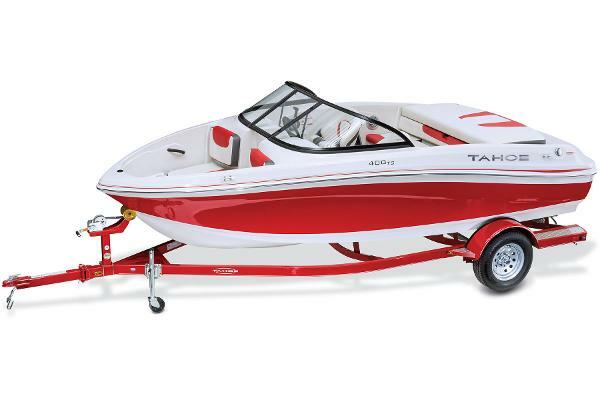 This boat is fast and dependable. 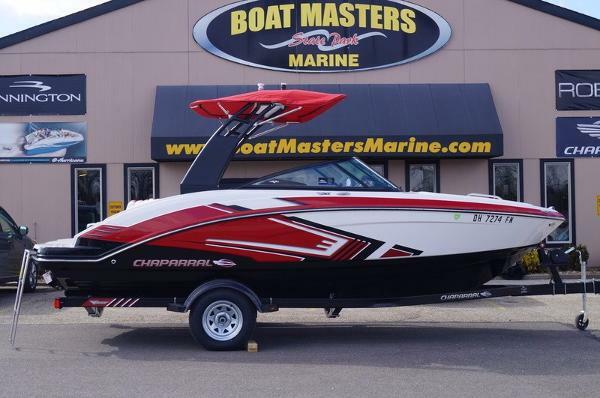 2017 Cobalt R5 2017 Cobalt R5 featuring Classic Ebony Graphics with a White Accent Stripe, with a Knock Out Red Hull Bottom complimented with Tahoe Grey Interior. Powered by a Volvo Penta V-8 with 350hp and a Duo Prop. 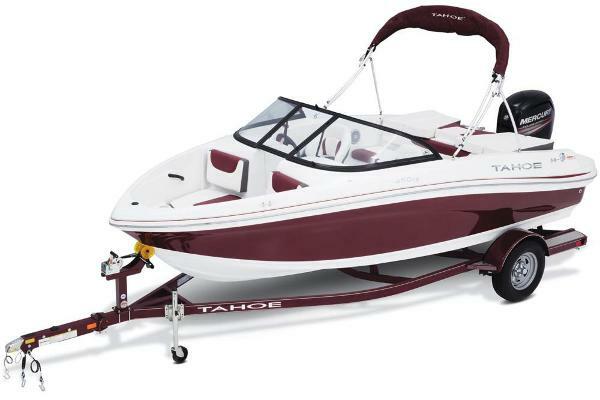 Features Include: A Forward Folding Black Wakeboard Arch with Bimini Top, Aft Walk Thru Carpet, Battery Charger, Dual Battery Switch, Bow and Cockpit Cover, Teak Dinette Table with Cockpit and Stern Receptacle, Stainless Steel Docking Lights, LED Interior Lights, Port Sunpad Filler Cushion, Premium Sound with Transom Speakers and Remote, Pump Out Port a Potti, Marine Matte Inlay on Swim Platform and Cockpit, Transom Shower, Transom LED Lighting, Trim Tabs with Indicator, Underwater Lights, Custom Painted Tandem Axle Phoenix Trailer with Swing Tongue, Vault Bearings, Aluminum Wheels with Matching Spare, Welded Bunks, LED Lights, and Disc Brakes. 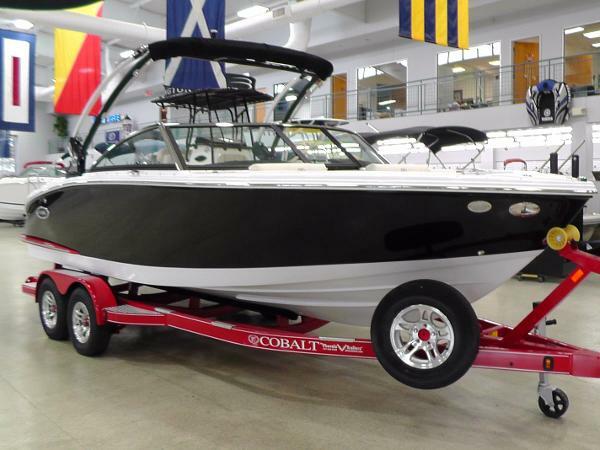 2017 Cobalt CS3 2017 Cobalt CS3 featuring Classic Ebony Graphics, White Hull Side and Hull Bottom, Knock Out Red Swim Platform Extension, complimented with Terra Interior and Marine Matte Snap in Inlay on Swim Platform and Cockpit, Powered by a Volvo Penta V-6 280HP with a Duo Prop. Features Include: Black Forward Folding Arch with Bimini Top, Bow and Cockpit Cover, Dual Battery Switch, Stainless Steel Docking Lights, Fender Clips with Lines, LED Interior Accent Lighting, Transom Stereo Remote, T Lounge Seating, Custom Painted Tandem Axle Phoenix Trailer with Swing Tongue, Disc Brakes, Aluminum Wheels with Matching Spare, Vault Bearings, LED Lights, and Welded Bunks.